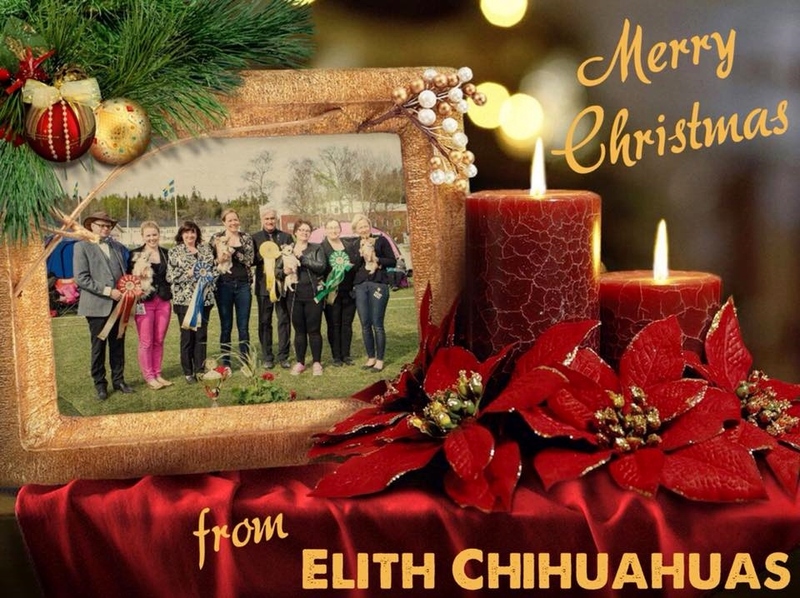 This year has been a year with a very limited amount of shows for us, if we count it right only 6 or 7, but still there has been some amazing Elith Chihuahuas moments. The highlight of the year must have been the prestigious Swedish Chihuahua speciality show where we got all 4 Best in show placements among the over 250 entered Chihuahuas. Don’t think we can top that in a near future. And ofcourse the end of the show year was not bad at all, with first our breeding Elith Page Turner as new Nordic winner-17 and Finnish winner-17 in Helsinki and the weekend after 2 new Swedish winners-17 in Stockholm. Now we look forward to the new year with some new planned Elith litters, but next year will again be a year with only a few dog shows since our jobs and horses also need their time. But we hope we will see some of you around the rings next year or perhaps at some other places. From now on our troubles will be out of sight….